Against the odds New Zealand came away holding tickets to Buenos Aires. Vong’s strength and power came out on top over the acrobatic defensive skills of Zhou. The pair used every inch of the court in their clash. It was the first time that Vong looked in trouble all week. But she passed the test with flying colours. Her opponent didn’t make it easy for her. Zhou is a hustler. Every ball is chased down, with no simple mistakes. The grit and determination you want to see in a defender. It’s no wonder that Zhou bested Vong in their encounter earlier in the year as the fought for a place in New Zealand’s team for this event. The match went down to the wire and was packed full of crazy rallies. 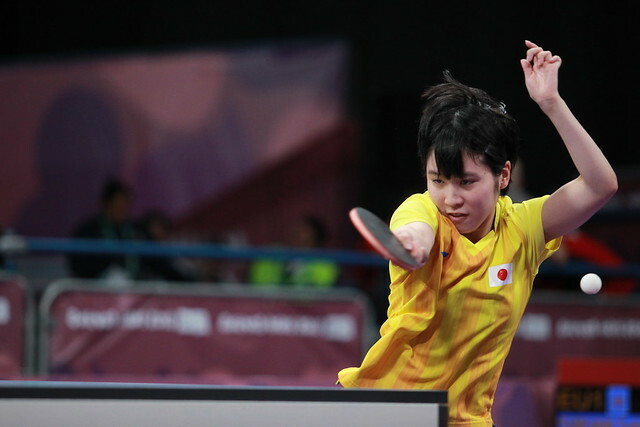 INSANE rallies going down in the Girls’ Singles final at the @youtholympics Qualification Event! ? After the win Vong, in tears, embraced her mother. It was a wild ride but she emerged undefeated and with a ticket to Buenos Aires. Meanwhile in the Boys’ Singles it was Nathan Xu that maintained his undefeated record in Bendigo. In the Boys’ Singles final he defeated teammate Yanglun Zhao 4-1. Xu has proved to have the safest pair of hands in the stadium, and relied on his impenetrable backhand and powerful forehand to take the win. Against the odds it was two New Zealanders through, and they were all smiles.